The Butterfly Timo Boll gold table tennis bat offers an anatomic shape handle and red and black Pan Asia ITTF (International Table Tennis Federation) approved rubber with 1.5mm sponge. It has a 5 ply blade and ensures good spin and speed. The bat is endorsed by the World Cup champion in 2002 and 2005, Timo Boll and features an edging tape for protection. for submitting product information about Butterfly Timo Boll Gold Table Tennis Bat We aim to answer all questions within 2-3 days. 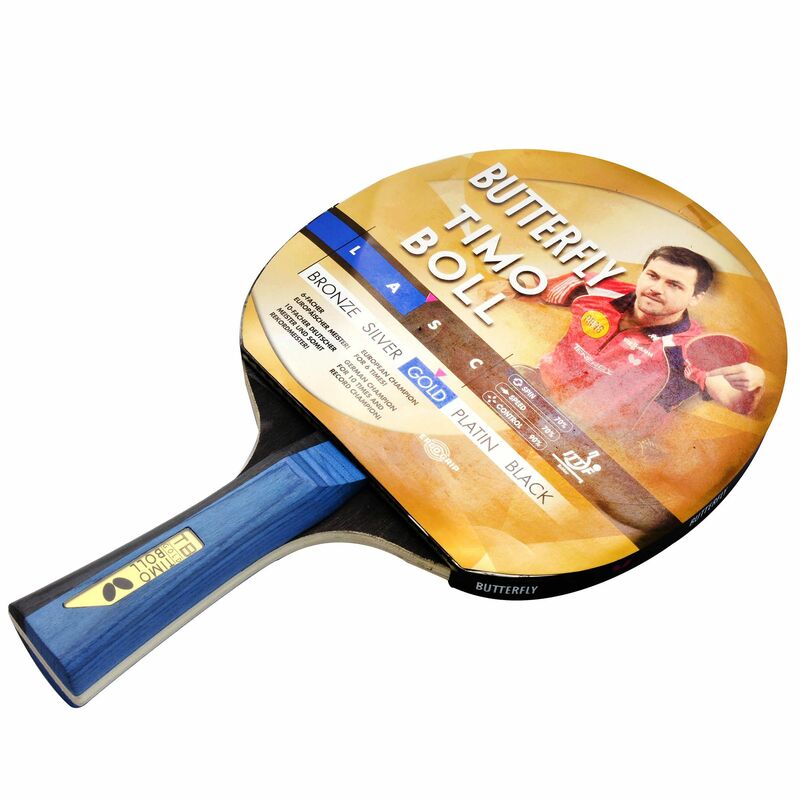 for submitting product information about Butterfly Timo Boll Gold Table Tennis Bat. We aim to answer all questions within 2-3 days. If you provided your name and email address, we will email you as soon as the answer is published. Buying online for something like this is always liable to disappointment as the "Feel" of the item can be much different than the description. However this bat is good value for money, decent quality and as described. I have played with bats that give more spin before but I bought this as I need to get consistent rather than clever and this was rated good for control rather than aggression/attack. Overall its fine, good value and well made, suitable for most players. Great product. Highly recommended. Ian Aberdeen. for submitting product review about Butterfly Timo Boll Gold Table Tennis Bat.